The fourth quarter (Q4) of 2017 will be an interesting ride for cryptocurrencies. Bitcoin prices failed to breach the $4200 mark on the 18th/19th of September and fluctuations between $3550 and $4k USD continue to test market support. Alt-coin prices have been following Bitcoin’s trend with the exception of a few currencies quickly rising in value and subsiding shortly thereafter. Most of these currencies have a network of supporter but rely heavily on Bitcoin for continued existence. When Bitcoin recovers and reaches for $5500, current alt-coin prices will seem ridiculously low; market confidence is key to a good recovery. These dips in BTC/USD are also a good opportunity to get rid of fiat. 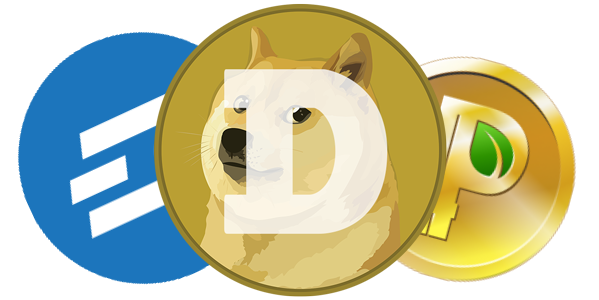 Dogecoin is a good example of a popular cryptocurrency that is sitting on relative lows. Although it is currently trading just above 24 Satoshis, Doge to USD is 4 times higher than it was in March of this year at the same price against BTC. Price Speculation: Doge has been hovering near 0.00000020฿ for some time. With no new development, Doge may seem like a dying currency but continues to have recognition in the crypto-community as being fast and cheap. I anticipate Doge to be able to reach 0.00000040฿ before encountering heavy resistance. Reaching 0.00000056฿ will likely mean that Bitcoin has entered another Bullish trend and hitting 0.00000093฿ or even 0.00000109฿ is possible for optimists. I expect doge to settle closer to 0.00000063฿ if these heights are reached. Dash is a cryptocurrency that has been doing well on its own. It has support against both Bitcoin and fiat. As a payment option, Dash is more attractive to the mainstream investors whose roots are in centralized governance. In the open-source / Bitcoin community, this centralization goes against core fundamentals of cryptocurrencies and is often stigmatized. Peercoin is quietly moving along the crypto-waves. Perhaps the antithesis to Dash, PPC is designed for community governance and fair distribution. The value of cryptocurrencies are often based on price and market cap but the value of an established community is difficult to quantify. With the ICO craze still rampaging through the cryptospace, the competition for developers continues to drive them to more profitable or innovative cryptocurrencies. Price Speculation: PPC is still sitting on lows waiting for Bitcoin to make a move. Another dip could bring it as far down as 0.00026฿, however, support at 0.0003075฿ and 0.00032฿ is strong and could bring the floor up to 0.00034฿ / 0.00038฿. Peercoin is similar to Litecoin before the Dash pump in March; quietly trading against Bitcoin while maintaining and increasing in value against fiat currencies. If Peercoins acts as a late bloomer, my optimistic projection anticipates some resistance around 0.00064฿. This is a small hurdle considering the volume per day on PPC. The next level of resistance shows to be around 0.00088฿ and price stability around 0.001075฿. These are optimistic projections with Bitcoin moving toward $5500 USD. Cryptocurrency markets can be volatile and are subject to fluctuations in either direction. Always do your own research and chart analysis. These are my own trading opinions and should not be construed as investment advice.